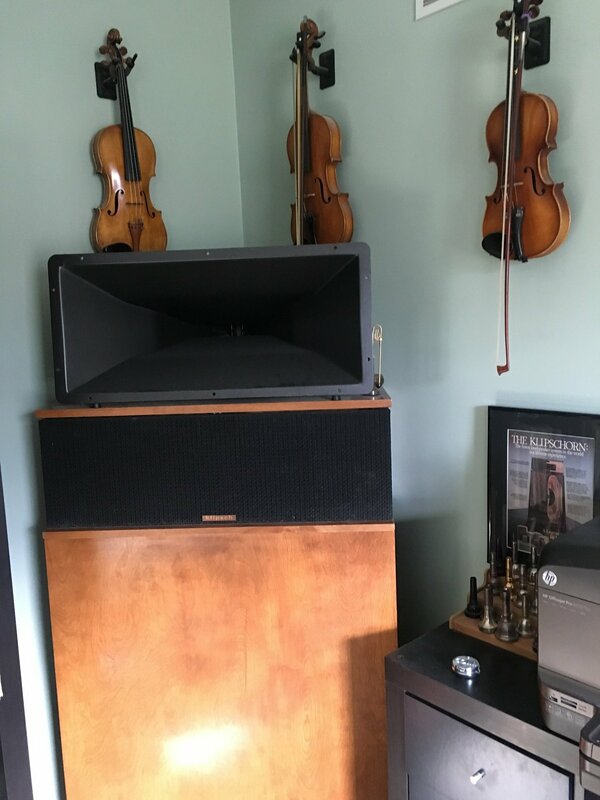 My Klipschorns have been somewhat neglected for the past few years since I set up my all horn 7.2 basement system, which is a shame since they live in my teaching studio and get used daily. 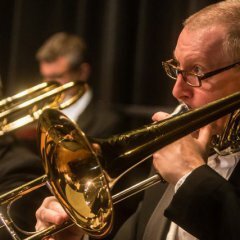 For the past couple of years I have used a Pioneer SC-1222-K AVR that was retired from the basement to run the K-horns, and it sounded pretty good actually, but the Pioneer was needed elsewhere and so I started looking for a good and easy to use integrated (my violinist wife did not want it hard to use). Klipschorns are a great speaker and I thought they deserved a bit more love. After some research my first try was a Yamaha A-S801, which sounded ok but wound up being defective (it would shutdown after 15 or so min. of use) and a relatively unpleasant experience to return. I then used a 15 year old HK receiver and cheap Behringer DAC that was part of my kids stereo system and it sounded pretty good, but the longer I listened to it the less I liked it. Before my basement system was constructed I had a Yaqin made 300B tube amp with the K-horns, which I sold in part to help cover what I was spending to put the basement system together. I had very fond memories of that combination so I decided to try tubes again. 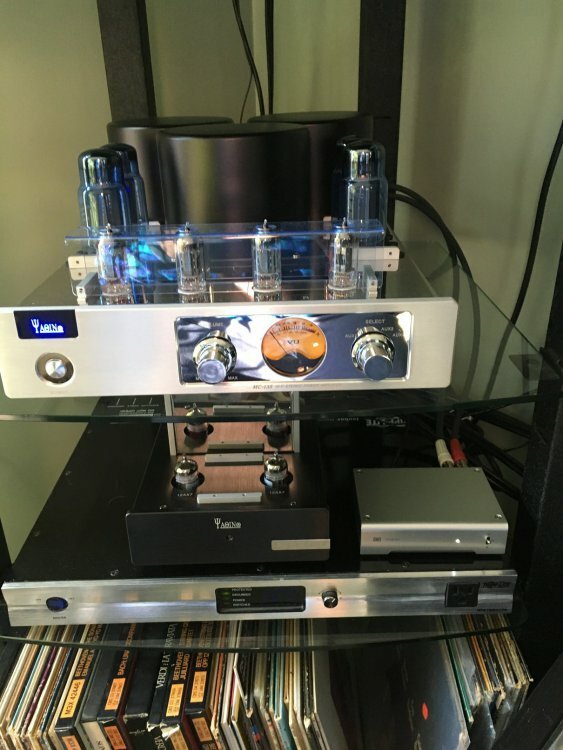 Amazon.com is selling the Yaqin MC-13S tube integrated amp for a pretty reasonable price (Prime and with easy returns) so I gave it a shot. I also picked up a Yaqin MS-23B phono preamp as well, and a Schiit Modi 3 DAC to complete the system. I am writing this as I listen to this setup and I must say I am very happy with the results. I did spend a bit more that the Yamaha in the end since it had a built in DAC and phono section, but the results are far superior. Never thought I would go back to tubes, but glad I tried them again. So let me get this straight, you sobered up from your dalliance with those solid state slatterns, got clean and went with a curvy, glowing wench. But then you tell us, oh wait a minute, I've done this before. And now you want us to applaud your repeated moral failings? So will this pattern continue to repeat itself? Do some tube rolling, get rid of those chines pre amps ones, use gold lions re issues, and you'll be even more rewarded. I did on mine, tried it with my LS-II's and yielded excellent results. I swing both ways big boy.